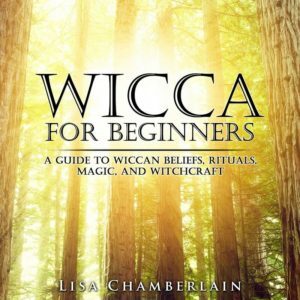 Do Wiccans practice Witchcraft? It depends on who you ask. Some Wiccans will say that they do, while others don’t like to be associated with the words “Witch” or “Witchcraft” at all. Many people feel that Wicca, as a label, has more respectable and more religious connotations than Witchcraft. This is arguably the case when it comes to mainstream culture, and may be why the name “Wicca” was so widely adopted as this spiritual movement spread during the 20th century. However, the origins of Wicca are very much rooted in Witchcraft. In fact, Wicca's founders—Gerald Gardner, Doreen Valiente, Alex Sanders and others—called themselves Witches, and referred to their practices as Witchcraft (or the shortened version, “the Craft”). Indeed, distinctions between “Wicca” and “Witchcraft” are not as clear as one might imagine, but a closer look at how these words have been used by various groups can help. In truth, the word “witchcraft” can refer to a wide range of beliefs, traditions and practices found in cultures across the globe, and in every period of history since the dawn of humanity. Anthropologists and other academics have used it as a catch-all term for spiritual belief systems that exist outside of the world’s dominant religions and involve a belief in phenomena that are disregarded by mainstream Western culture. These belief systems use resources from the natural world and the spirit world in the healing arts, and often approach life from an animistic perspective, taking the view that everything on Earth, including inanimate objects, is alive. Of course, a few centuries ago, the words “witch” and “witchcraft” had only sinister meanings. This was due to the Christian Church’s desire for complete control over the European continent. Anyone who professed beliefs or engaged in practices that were outside the boundaries of Church doctrine was said to be working with “the devil” and could be executed as a “witch.” The revival of the “W” word by Gardner and others was a way of reclaiming the religious freedoms that the Church had taken away for so long. These days, many people in the Craft capitalize Witch and Witchcraft in order to distinguish their practices from the academic terminology and from the propaganda of the past. 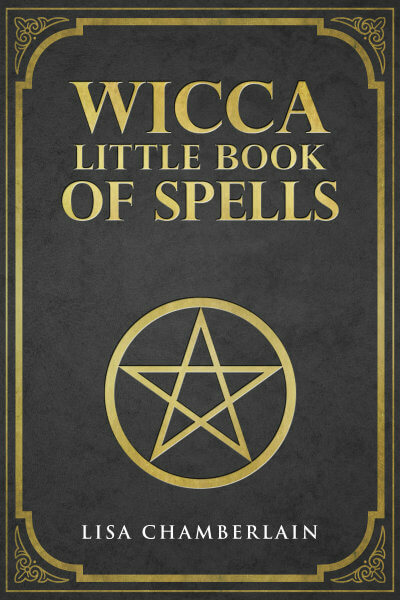 Those who are familiar with the wider world of Witchcraft generally agree that Wicca is one form of the Craft, which is in turn a form of modern Paganism. In other words, “Witchcraft” is an umbrella term, under which Wicca sits along with many other types of Witchcraft. Some may have beliefs and practices that resemble or overlap with aspects of Wicca, while others are completely distinct from it. For example, the Feri Tradition, an American form of the Craft developed in the 1930s and 40s by Victor and Cora Anderson, has its roots in traditional Vodou and Hoodoo as well as esoteric philosophies from both Western and Eastern cultures. Stregheria is an Italian-American form of Witchcraft, descended from centuries-old traditions of Italian immigrants, which didn’t become known outside of these communities until the later 20th century. A more recent tradition has come to be known as Sabbatic Craft, which draws on both ceremonial magic and traditional English folk magic, among other influences. In addition to these more widely recognized traditions of Witchcraft, countless forms exist among the diverse range of people who practice what we might call “eclectic” Craft. These can include folk traditions from specific regions, such as Ireland and England, that managed to survive the Church’s attempted obliteration of all pre-Christian practices. There are some people who claim to have inherited Craft practices from older family members, which had been passed down through the generations since long before the development of Wicca and other 20th-century forms of Witchcraft. These hereditary traditions don’t tend to end up in books or on websites related to the Craft, as they are family-specific and generally kept quiet. Many people have noted, whether with enthusiasm or dismay, that the expansion of Wicca into so many different forms and traditions is making it harder and harder to pin down just what Wicca even is. The same could be said of the entire realm of Witchcraft, a way of life that defies specific boundaries or definitions. This lack of rigidity is arguably part of the draw for people seeking an authentic spiritual path that allows them the freedom to be who they are. It’s also why people who don’t identify as Wiccans can still learn and benefit from Wiccan resources, and why Wiccans can benefit from learning about the wider world of Witchcraft. Indeed, no matter where under the big umbrella you happen to sit, you can always learn more by getting more acquainted with those around you.